At the request of federal security partners, US Federal Aviation Administration (FAA) has been using its existing authority under Title 14 of the Code of Federal Regulations (14 CFR)§ 99.7 – “Special Security Instructions” – to address concerns about drone operations over national security sensitive facilities by establishing temporary Unmanned Aircraft System (UAS) specific flight restrictions. Information on the FAA Notice to Airmen (NOTAM), which defines these restrictions, and all of the currently covered locations, can be found on our website. To ensure the public is aware of these restricted locations, this FAA website also provides an interactive map, downloadable geospatial data, and other important details. A link to these restrictions is also included in the FAA’s B4UFLY mobile app. These changes, which have been highlighted by FAA NOTAM FDC 8/8653, are pending until they become effective on June 20. Note that there are only a few exceptions that permit drone flights within these restrictions, and they must be coordinated with the individual facility and/or the FAA. FDC 8/8653 FDC SECURITY SPECIAL SECURITY INSTRUCTIONS (SSI) PERTAINING TO UNMANNED ACFT SYSTEM (UAS) OPS OVER MULTIPLE LOCATIONS NATIONWIDE. THIS NOTAM SUPPLEMENTS FDC 7/7282, AND DESCRIBES THE CHANGES MADE TO THE UAS-SPECIFIC SSI AIRSPACE DEFINED BY FDC 7/7282 AND IMPLEMENTED PURSUANT TO 14 C.F.R. 99.7 FOR NATIONAL SECURITY SENSITIVE LOCATIONS. THESE CHANGES INCLUDE ADDITIONAL LOCATIONS REQUESTED BY THE DEPARTMENT OF JUSTICE AND DEPARTMENT OF HOMELAND SECURITY. This is the first time the Agency has placed specific flight restrictions for unmanned aircraft, or “drones,” over Federal Bureau of Prisons and US Coast Guard facilities. The FAA has placed similar flight restrictions over military installations that remain in place, as well as over ten Department of Interior facilities and seven Department of Energy facilities. 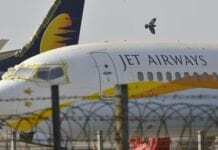 Operators who violate the flight restrictions may be subject to enforcement action, including potential civil penalties and criminal charges. 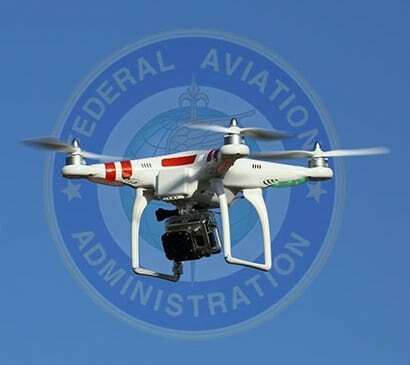 The FAA is continuing to consider additional requests by eligible federal security agencies for UAS-specific flight restrictions using the agency’s § 99.7 authority as they are received. Additional changes to these restrictions will be announced by the FAA as appropriate. An urgent review has been called by the Thailand Prime Minister and Governor of Phuket to halt cancellations from Chinese tourists to Phuket.